Melbourne Airport is seeking feedback on the design of the new domestic terminal. Construction is already underway on the new Terminal 4, which will house the growing low-cost airlines Jetstar and Tigerair. The new structure will integrate with the main terminal and the existing Terminal 4. Designed by Hassell, the new terminal precinct will be built by Leighton Holdings with a $370 million contract. 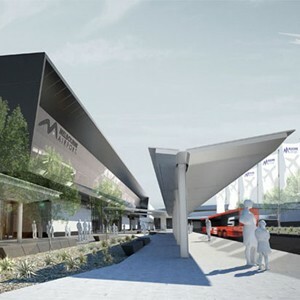 The survey has been compiled based on a fly-through animation put together by ASPECT Studios, with Melbourne Airport seeking input from the general public and a range of stakeholders. Respondents will be asked their opinion on the look and feel of the design, as well as how they would like to spend their time while waiting to depart or for visitors to arrive. The survey will be monitored regularly for useful feedback on the design of the terminal, which will be updated as progress continues. Currently, 30 million passengers pass through Melbourne Airport, with this number expected to grow over the next two decades to 60 million. Melbourne Airport T4 Terminal from ASPECT Studios on Vimeo. Melbourne Airport invites frequent passengers and visitors, aviation enthusiasts and anyone interested in the development of the new terminal to participate in the survey, which can be viewed here. Construction of the new terminal is expected to be completed in 2015.